What did the conquistadors and conquistadoras wear? 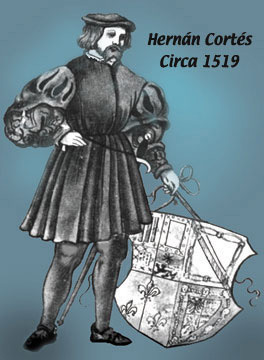 Clothing of the nobility, the common foot soldier to the common working people changed dramatically just as radically throughout the 16th century as it did in our grandparents and parents time. Dressed in period clothing herself, Elizabeth explores the clothing worn by the first Europeans to come to Florida. Juan Ponce De Leon (1513), Panfilo de Narváez (1528), Hernando de Soto (1539) to the first colonists in St. Augustine with Pedro Menéndez de Aviles, and then in the last part of the century when Sir Francis Drake was the scourge of the Spanish Main. * A powerpoint presentation plus reproduction clothing, arms and armor. * This program was developed through funding from a Florida Humanities Mini Grant in 2012. Performance Fee: $150.00. Travel, Accommodation, and Meals may be extra. For more information please fill out form below.